The son of Ricardo Parojinog wants someone to be on his side this heart’s day. Richard “Mr. 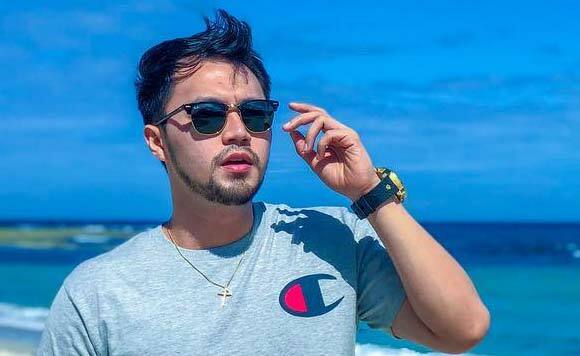 Pastillas” Parojinog, son of former Ozamiz City Councilor Ricardo “Ardot” Parojinog, recently told the public that he’s looking for someone this Valentine’s Day. On his Instagram, the TV personality shared a nice lookin’ photo of him in Ilocos Norte. “Hoy sana kana? Malapit na BALENTAYMS! 梁”, he captioned his post, along with a photo of him at Hannah’s Beach Resort, Pagudpud. Chard, who now goes by the screen name Chard Ocampo, dropped his new single, Pa’no Na Ba. The TV personality had been attending voice classes ABS-CBN workshops, along with his cousin, Tawag ng Tanghalan finalist Fron Vasquez. He rose to fame from his stint as Mr. Pastillas at noontime show It’s Showtime. His father, who’s currently detained and facing charges for illegal firearms possession, was arrested last May 2018 in Taiwan, after 10 months of hiding. His dad is the younger brother of killed Ozamiz Mayor Reynaldo “Aldog” Parojinog, who was linked to illegal drugs by President Rodrigo Duterte.